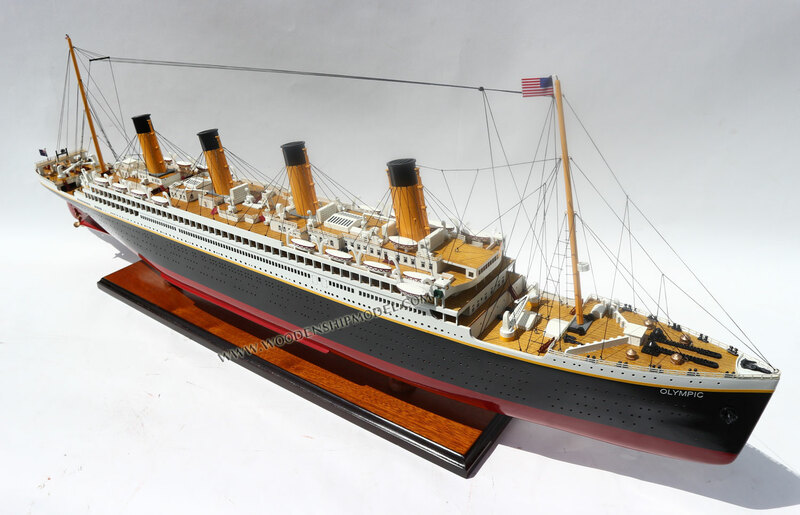 This model cruise ship is hand-crafted from hard wood with planks on frame construction and then painted with colors like the original real boat. Model is fully assembled and ready for display. The Olympic was first conceived in 1907. That summer, White Star Chairman Bruce Ismay and his wife dined at the house of Lord Pirrie - Chairman of Harland & Wolff shipyards - and his wife. It was during the course of that evening that the dream of building the largest liners the world had ever seen was born. The rest, as they say, is history. The keel for the Olympic, Harland & Wolff Yard No. 400, was laid on December 16, 1908 under the shipyard's new Arrol Gantry. 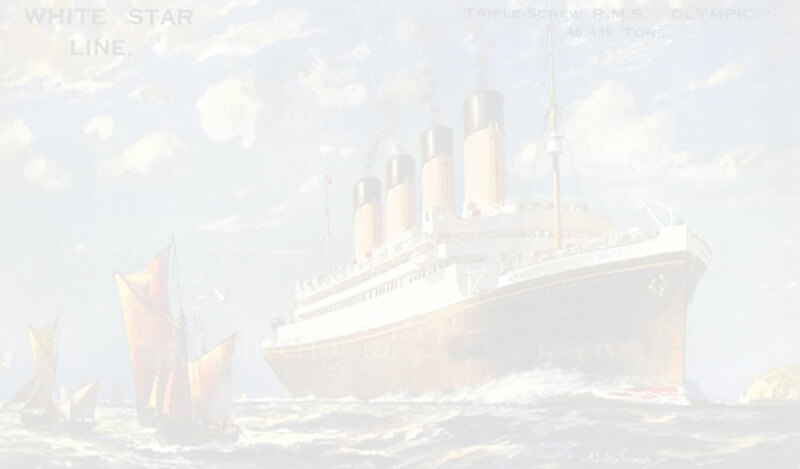 Here sister, Titanic, was built alongside of her, trailing some several months in the Olympic's wake. 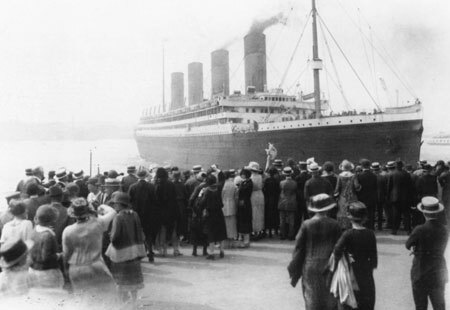 The Olympic was launched on October 20, 1910. 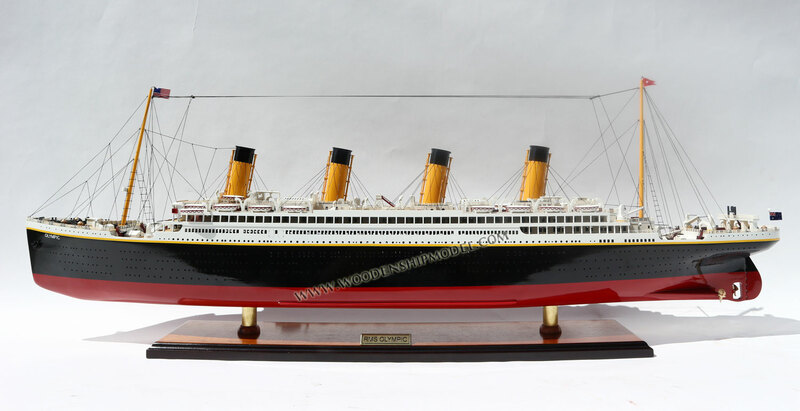 The world's newest, largest and most luxurious ocean liner made her maiden voyage on June 14, 1911. Aboard the ship was J. Bruce Ismay of the White Star Line, son of the Line's founder. 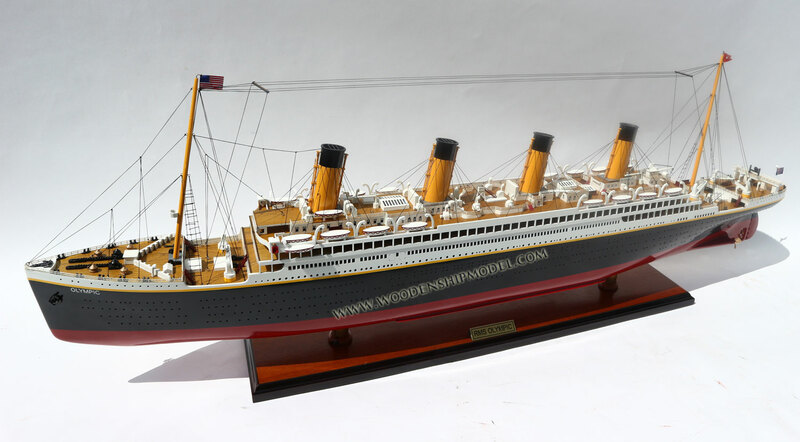 Also aboard was Harland & Wolff's Thomas Andrews, nephew of Lord Pirrie. Captain Smith - who would go on to command the Titanic on her legendary and ill-fated maiden voyage the following year - was in command. The Olympic was so remarkable that by the time she had docked in New York, the formal order for the third entrant of the Olympic-class was placed. During the following ten months, the Olympic garnered the lion's share of the fame on the Atlantic. 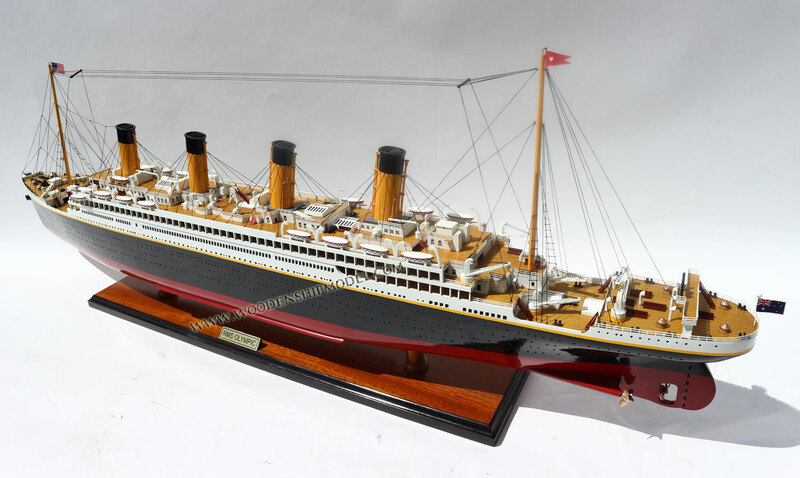 Her sister Titanic was not given anywhere near the attention as had been lavished on the Olympic in 1911 simply because she was the second of the class. 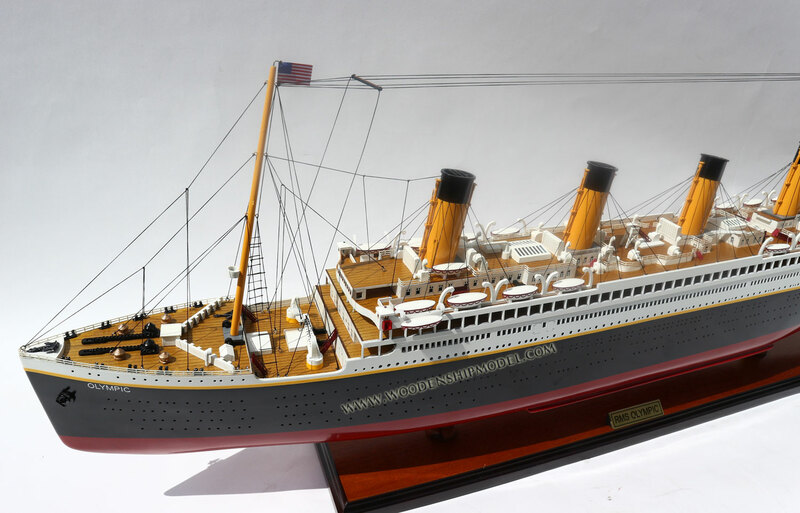 Only after she sank did the Titanic eclipse the Olympic's fame. 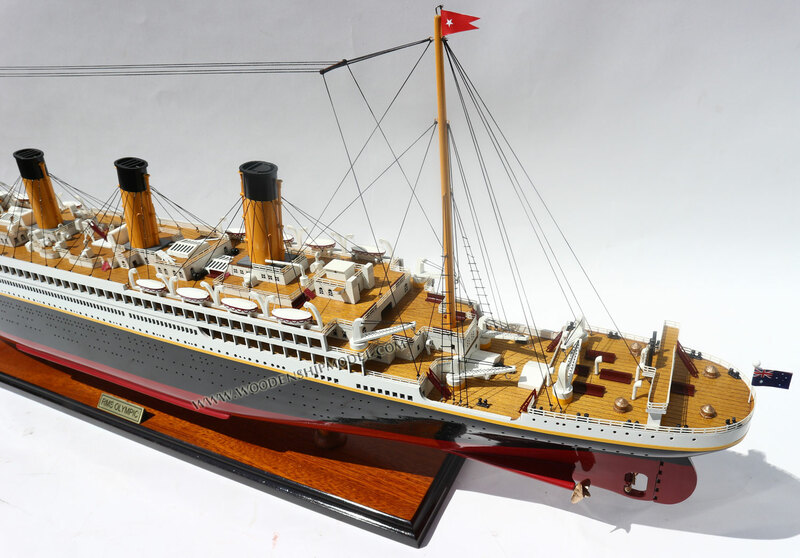 Following the loss of the Titanic, the Olympic returned to Harland & Wolff for extensive modifications that included the addition of a new watertight bulkhead which divided her Electric Engine Room, the installation of an inner skin running the length of her Boiler and Engine Rooms, and the raising of several critical transverse bulkheads all the way to B Deck. 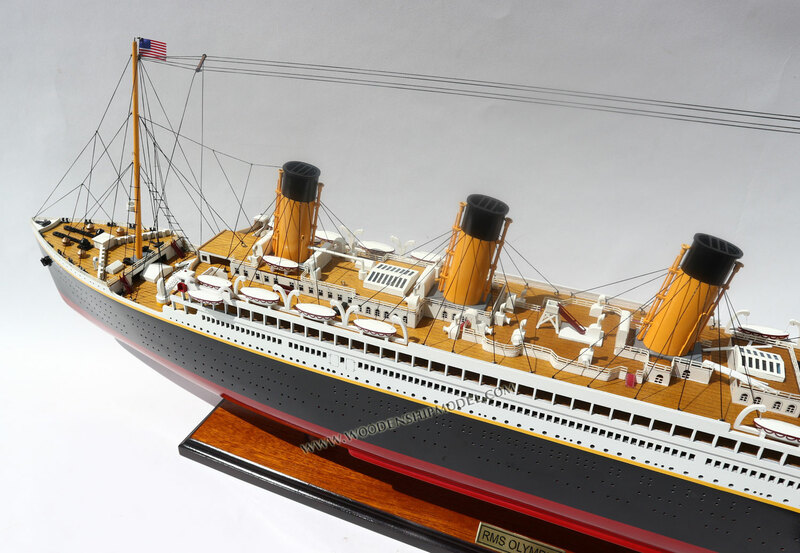 During this refit, the Olympic was also endowed with several Titanic-like modifications, such as the Cafe Parisian, and emerged slightly larger than her younger sister had been in April of 1912. Her career continued uninterrupted until the outbreak of the Great War in August 1914. Thereafter, she saw an extensive layup in Belfast, which was followed by distinguished service as a troop transport. 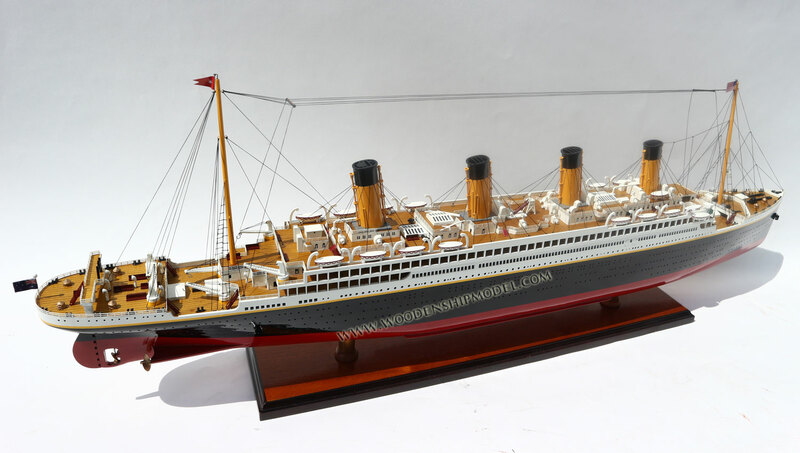 The ship enjoyed great success in this guise, earning a reputation for reliability which was sorely needed in the wake of the Titanic. After the War, the ship was returned to commercial service following a large-scale refurbishment at Harland & Wolff which included her conversion to an oil-firing powerplant. Throughout the 1920's, she proved herself a solid, reliable vessel. But even the great Olympic could not survive the changing times. With the advent of newer, more modern-looking liners with more private bathrooms for their first class passengers, the Olympic began to look dated. When the Great Depression hit, this situation was made only worse as passenger bookings continued to decline. 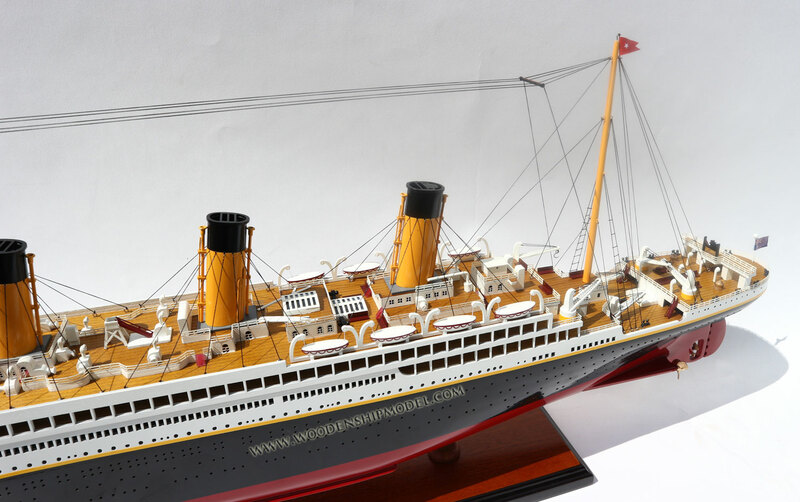 Nevertheless, the ship managed to help keep the White Star Line financially afloat. 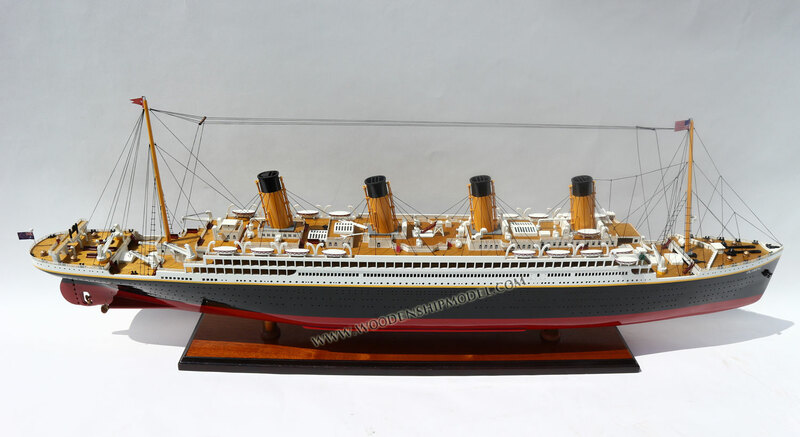 Finally, the White Star Line was forced to merge with the Cunard Line on May 10, 1934. There was simply too many old ships in the newly combined fleet, and on April 12, 1935, she was laid up in Southampton. She went to the breakers and disappeared from the Atlantic scene forever. However, many of her furnishings and fittings were preserved, and can still be found today. Picture of the ship inside the display case is for illustration purpose.